Car dealers are notorious for having some pretty uninspiring commercials and social content. But what if we could create a campaign that was creative, eye-catching, and for a reasonable budget? Something that put the dealer in a new light with high-level branding and quality. In this case, ads that featured a cool car going fast and loud instead of an in-your-face salesman and low-budget graphics. Someone out there would surely be game to change things for the better, right? 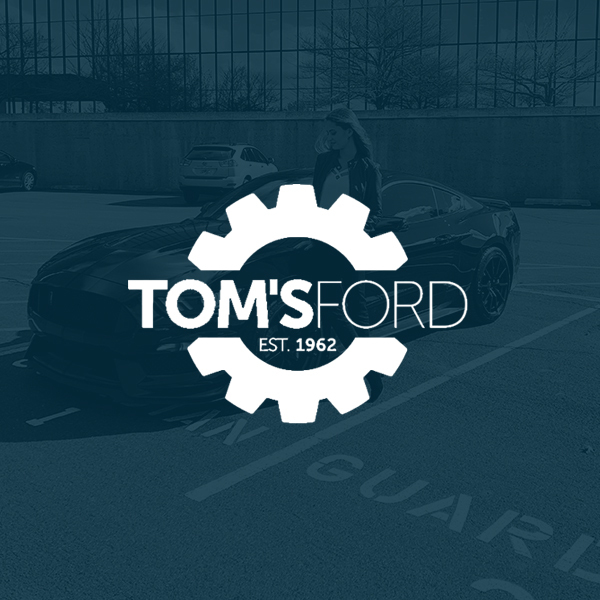 Well our friends at Tom’s Ford were ready to mix things up. They offered the keys to their beautiful Shelby GT350 with the only demand that we do something special. So we teamed up with the amazing crew at Silver Style Pictures to execute a concept that combined a beautiful beast of an automobile set against an iconic building, our Bell Works home. The end result was a collection of TV spots, social media content, and 360° videos that are sure to leave their mark on the dealer community and beyond.